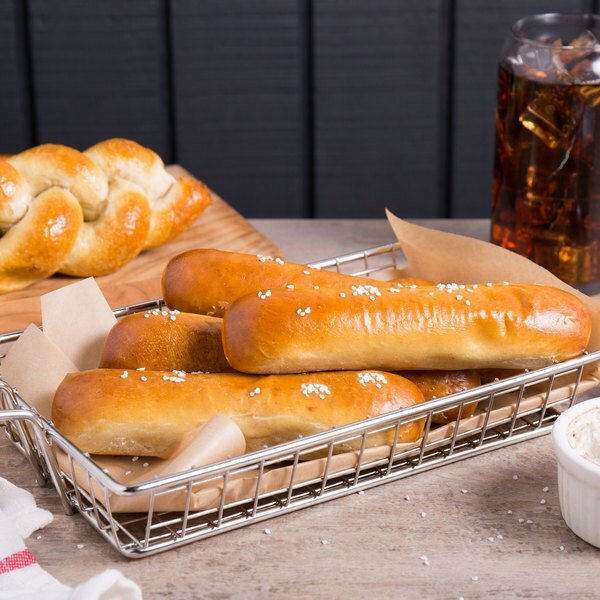 Serve guests at your concession stand, convenience store, carnival, golf course, or swimming pool these deliciously fresh Dutch Country Foods soft pretzel sticks. 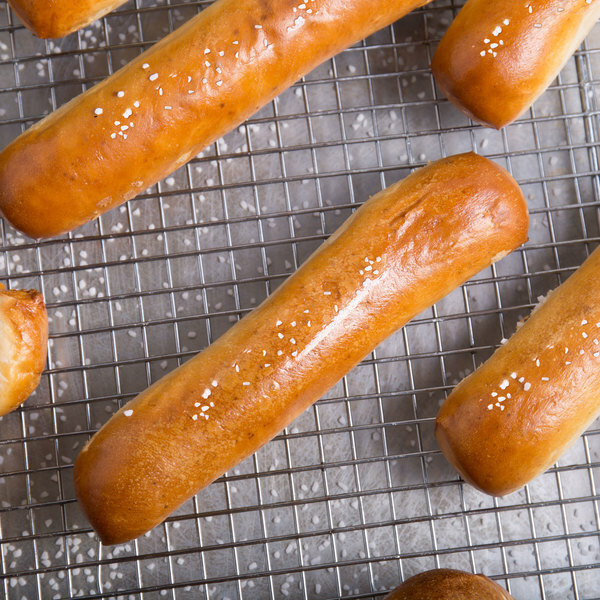 Made in the heart of Pennsylvania Dutch Country, these pretzel sticks feature a fresh, homemade taste that will have your guests craving for more! They are flavorful enough to eat alone, or top with cheese, mustard, or your signature crab dip for a mouthwatering appetizer on your menu. 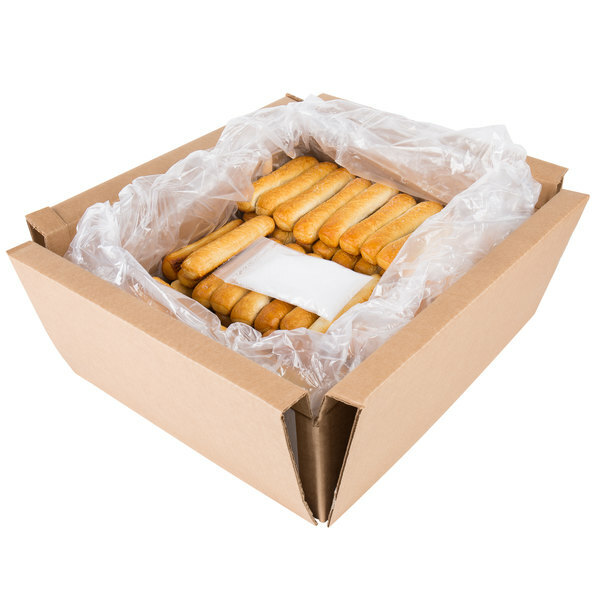 Made only of natural ingredients, these pretzel sticks come pre-baked, unsalted, and frozen to preserve their freshness. 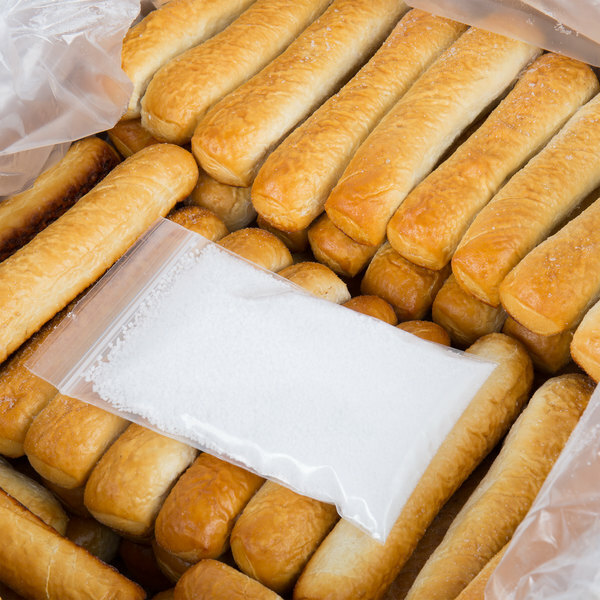 The salt is included in a separate bag, allowing you to control the amount of salt on your pretzels and ensuring they're not too heavily salted. Extremely easy to prepare, simply spritz the pretzel sticks with melted butter or water, sprinkle them with salt, heat and serve. Plus, when heating with a convection oven at 350 degrees, these pretzels take only 3-4 minutes to prepare, and only 12-20 seconds in a microwave, so there is minimal wait with service. The combination of the baked, golden brown outside and the soft, doughy inside make these pretzels the perfect treat for any time of day! This product includes an 11 oz. packet of pretzel salt. Tucked away in the lush, green rolling farmland of Lancaster County, Pennsylvania, Dutch Country Foods' crafts the finest soft pretzels and pretzel mixes. Regarded as a "hidden gem" of Amish Country for many years, Dutch Country Foods has grown into a renowned brand that produces delicious, fresh soft pretzels and pretzel mixes. Every product they make is crafted with care using natural ingredients with a keen eye on quality. With all this care going in their products it's no wonder Dutch Country Foods is famous for the taste and consistent quality of their pretzels! This item is certified Pas Yisroel by Star K.